Just because summer has come to an end doesn’t mean the fun has to stop! 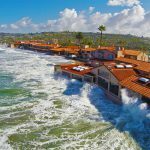 When autumn arrives and the summer beach crowds diminish, San Diego visitors and locals can relish in our gorgeous weather and enjoy a number of fun-filled Fall activities – America’s Finest City is packed with events and things to do all season long. From apple picking to haunted houses and everything in between, this San Diego expert has rounded up some of our favorite fall activities in San Diego for you to enjoy! 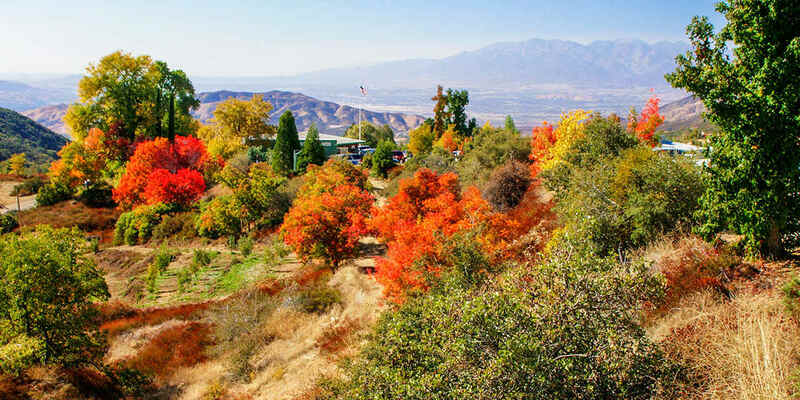 Say hello to fall with a day trip to the historic gold mine town of Julian––famous for its fall colors, U-pick apples, apple pie, and apple cider. Head to a U-pick farm to pluck apples from the trees, then make your way to downtown Julian and look through the adorable gift stores. 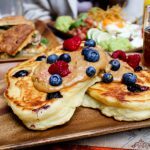 Miner’s Diner is a good place to grab lunch with the tots in tow. Before leaving, stop by a local pie shop for a freshly baked apple or pumpkin pie. 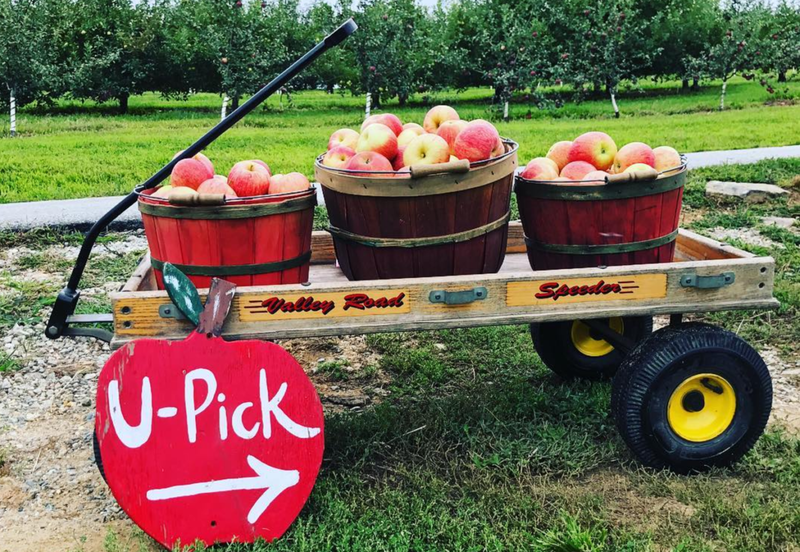 For more ideas and tips, check out our complete guide to apple picking in Julian! The annual Dia de los Muertos (Day of the Dead) will be celebrated in Historical Old Town on November 1st-4th, 2018. This free event will include the traditional candlelight procession on November 2nd starting at 6 PM, beginning at the entrance of the Old Town State Historic Park. The procession will travel down San Diego Avenue to El Campo Santo Cemetery. The celebration will continue throughout the weekend with street food, vendors, and family-friendly activities on San Diego Avenue. Many Old Town restaurants will be providing special Dia de los Muertos menus and live music, along with activities for the entire family, including traditional face painting, mask making, and more. Starting September 29th, head to LEGOLAND California for Brick-or-Treat Party Nights on select days for Halloween-themed fun, music, costume contests, the Brick-or-Treat Trail, and more! Families will be able to watch tons of fun, live entertainment, and shows (which are new for 2018) while getting into the Halloween spirit. Visitors are encouraged to come in costume! Admission to Brick-or-Treat Party Nights at LEGOLAND California is separately ticketed and is not included with the Go San Diego® Card. For more information about this event and to purchase tickets, please visit the event website. LEGOLAND is located in Carlsbad, California, about 45 minutes from downtown San Diego and 30/35 minutes from La Jolla. Check this out to find out more about what to expect before you visit LEGOLAND California! Starting at the end of September, you can visit several spooky attractions around San Diego, including a haunted hotel! 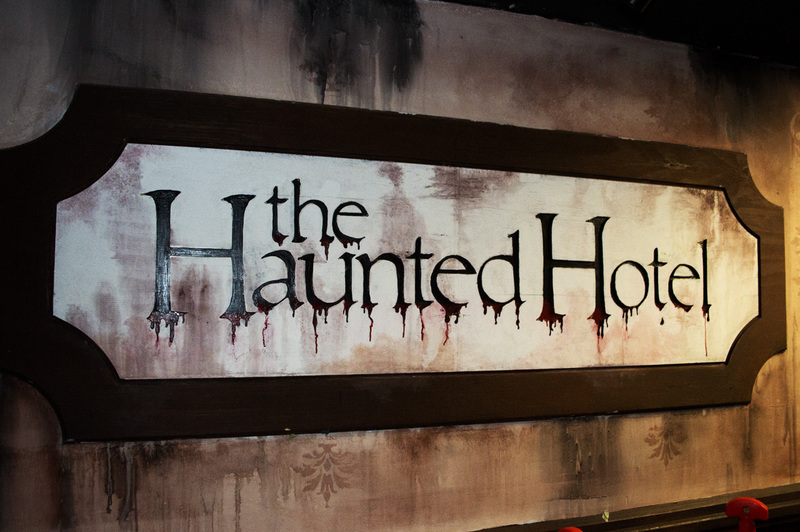 Visit the Haunted Hotel downtown and try to find your way back out for a spine-tingling experience – named by Haunt World Magazine as one of the top 13 haunted houses in America, it’s sure to give you the spooks. Or, enter the mile-long Haunted Trail in Balboa Park for a scary stroll through a haunted old Plantation and a haunted trail walk along Bourbon Street in New Orleans for a night you’ll never forget. Celebrate the history and culture of downtown San Diego’s Gaslamp Quarter. Go on an old-fashioned hayride, pan for gold, ride a pony, and more! This year’s festival is on November 4th from 11am-4pm at 410 Island Avenue in the Gaslamp. This festival will feature lots of fall-themed family-friendly fun, live entertainment, and educational content with a focus on the history of the Wild West in the Gaslamp Quarter in San Diego. 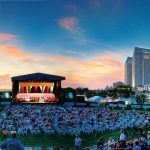 Enjoy some of the world’s best wine and culinary creations at the 11th annual San Diego Bay Wine + Food Festival. 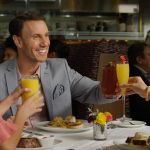 This is one of the biggest yearly festivals in San Diego, and visitors will enjoy cooking classes, tasting panels, celebrity chef dinners, and tons more. 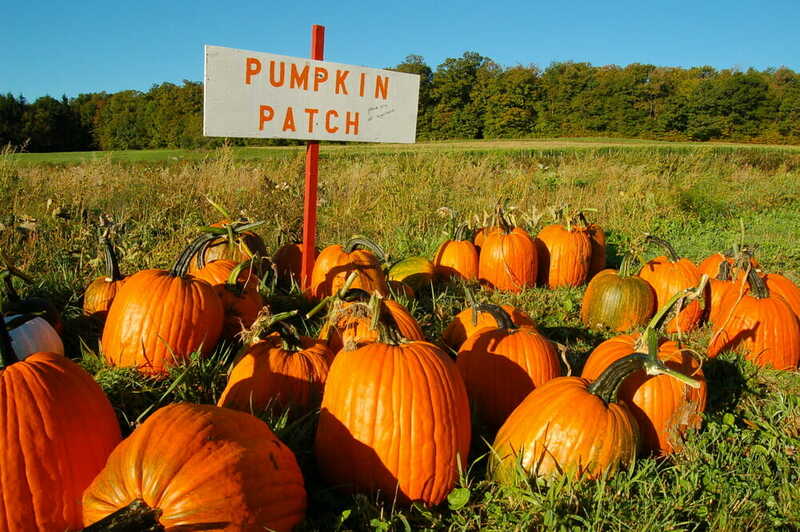 Once late September rolls around, a plethora of pumpkin patches open up around the County. Be sure to read up on our tips and tricks on where to find the best pumpkin patches in San Diego! Bates Nut Farm in Valley Center is packed with old-school country charm, complete with family-friendly activities including hayrides, a bounce house, a petting zoo, pony rides, a straw maze, and a general store bursting with timeless treats like pumpkin fudge, dried fruits, chocolates, apple butter, and toffee. This fall, the farm will open its famous pumpkin patch starting September 22nd through October 31st, featuring a variety of pumpkins, gourds, and squash ripe for the picking. Admission is free and parking is $5 on weekends throughout October. Over the course of the season, Bates will host many autumn-themed events including the Craft Fair Pumpkin Festival on Oct. 6 and Oct. 7, featuring 80+ vendors, and the farm’s annual Scarecrow Contest on Oct. 13. The farm’s annual Halloween Costume Contest and Parade are set for Oct. 20, while a “Howl-o-Ween” doggie costume contest is set for Oct. 21. San Diego’s Balboa Park offers its annual Halloween Family Day on October 27 this year. The region’s largest free Halloween carnival will be celebrating its 10th year of giving families a fun and culturally inspired kickoff to their Halloween activities. Over two dozen museums and cultural attractions will present free craft projects for kids, costume parades, and tons of spooky surprises while participating museums offer free admission to children 12 and under with paying adult. Visit balboapark.org for more information. Throughout the entire month of October, San Diego County is all about the kids! In celebration of the San Diego Zoo’s opening more than 100 years in operation, Kids Free San Diego was started more than 30 years ago. Check out our San Diego Zoo Guide to find out more! There are free admissions and deals for children at more than 100 participating attractions, restaurants, and hotels throughout the County. 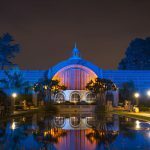 Kids Free San Diego includes big-name attractions, too, such as SeaWorld San Diego, LEGOLAND California, and the San Diego Zoo, along with don’t-miss spots like Birch Aquarium, Maritime Museum of San Diego, and the USS Midway. Believe it or not, it is possible to see some fall foliage here in San Diego County! 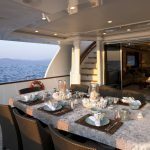 Although we are blessed with nearly perfect weather year round and a seemingly endless summer, with just a little bit of a drive, you’ll be able to experience a taste of Autumn right here in Southern California. You just have to know where to look for it! Head to Cuyamaca Rancho State Park, Palomar Mountain, or Mount Laguna to experience a wide range of reds, oranges, and yellows. At these higher elevations, oak and conifer forests abound, creating a gorgeous landscape that you won’t find in the city. Dense woodlands, high elevation, and remoteness combine to make these spots the ideal location for watching the leaves change colors! Originally celebrated in early-1800s Germany in honor of the country’s royal family, Oktoberfest today is simply a reason for 6 million people to come to Munich to drink, eat, and be merry. The Munich celebration may have more than 150 years on us in San Diego, but that doesn’t mean we don’t know how to throw a party! There are several Oktoberfests happening throughout the County this year, including Encinitas, La Mesa, El Cajon, Carlsbad, and Ocean Beach. It’s a great excuse to drink delicious German beer, have a couple of bratwursts, and enjoy the beautiful weather San Diego is known for! For a fun date night idea that’s just a bit north of San Diego (roughly an hour and a half, depending on traffic), head to Knott’s Scary Farm! On select nights from Sept. 20-Oct. 31, you can experience the largest and most haunting Halloween experience in Southern California. The totally transformed theme park features mazes and attractions, shows, “scare zones,” and more than 1,000 terrifying creatures lurking in the fog and hiding in every corner of the park. Plus, you’ll be able to ride all the usual thrill rides and roller coasters that you normally would – making this a truly awesome experience! Admission starts at $42, and you can purchase tickets ahead of time online. On October 6th from 11am-7pm, head to Pacific Beach for a full day of action-packed fun, including a beer garden and so much more! This year is the 21st anniversary of the festival and will feature live music, an arts and crafts village, PB merchant sidewalk sale, beach volleyball tournament, Pro AM surf contest, Pacific Beachfest 5k, Best of the Beach Fish Taco Contest, food court, and beer garden. The fest will take place on the Boardwalk from Diamond to Thomas St. Tip: parking is usually quite difficult, so either arrive early to ensure a good spot or take public transportation or an Uber! 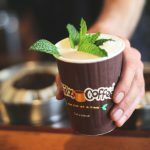 For even more event ideas and fun activities, visit our San Diego events page or check out our various La Jolla guides! 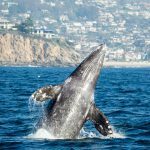 There are so many great fall activities in San Diego County and La Jolla.